Copy of records of Dornoch jail (?) 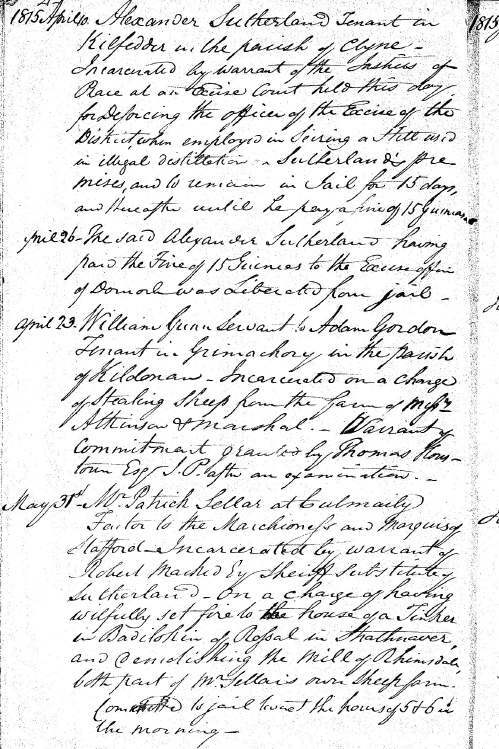 noting imprisonment of Patrick Sellar on May 31 1815 for setting fire to tinker's house at Rosal and demolishing the mill at Rhimsdale. 2 copies.